The practice of batik is one shared by cultures across the globe, from the Far East to Middle East, Central Asia to India. 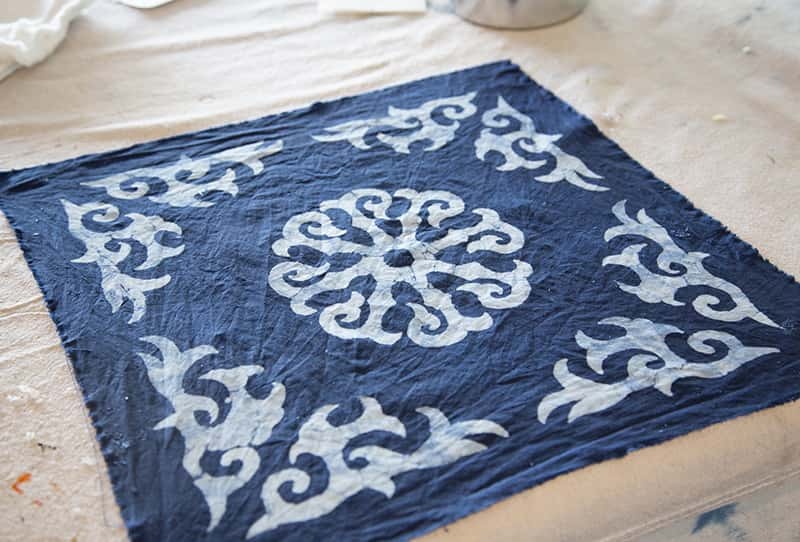 This simple technique of applying wax resist to fabric, can create bold geometric designs as well as intricate, organic patterns. This one-day workshop will take students through the steps of designing a pattern suited for batik, wax application using various tools and preparing a natural dye bath. Each student will leave with a yard of patterned fabric of his/her own design, ready for interior or fashion.